Only native translators from Italy can deliver perfect translations into Italian. A Italian-based translation agency, specialized in contract, catalogue and web translations. Your trusted Italian translation agency. More than 15 years' experience delivering top-notch Italian translations to clients all around the world, from our headquarters in Spain and through our delegations in Italy, UK and other European countries. We are 100% native Italian translators from Italy. At Ibidem we stick to what we know best: legal translations of contracts and claims, commercial translations of catalogues and marketing material, technical translations of user guides or O&M manuals, website translations, software localisation, Official Certified Translations, etc. What kind of documents do we translate? We are a small, dedicated and reliable translation agency. We deliver rich, precise, fresh and authentic translations, as if they had been originally written in Italian; an effort few agencies are willing to make. All of our translators are native speakers, and always translate into their mother tongue. When translating into Italian, we work with Italian translators from Italy. We translate many language pairs, but English to Italian is one of our most demanded language combination, hence we can offer very competitive rates and fast turnaround. How much does a translation into Italian cost? A good translation into Italian should never seem like a translation. All our translations into Italian are always carried out by 100% native Italian translators, working in the mother tongue, and who are completely fluent in the source languages, i.e. English, Spanish, French, German or Portuguese. We work with Italian translators who specialise in a range of fields such as business, marketing, legal and technical: technology, engineering, IT, industrial, medicine, tourism, sworn translations, etc. Every translation is checked by a second native Italian translator to make sure there are no mistakes. We work with translation memories, glossaries and terminology databases. How much does a Italian translation cost? We offer top quality translations into Italian, at very affordable prices. 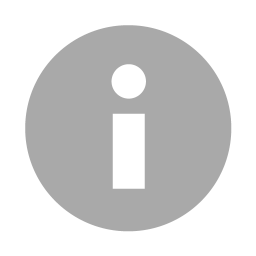 Rates starting at EUR 0.10 for simple translations of Word files from English into Italian. 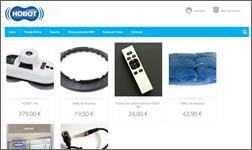 We translate websites and eCommerce stores: Wordpress, CMS, Prestashop, Magento, etc. We safely translate .html and .xml code files, as well as .po files. SEO-friendly translations. Professional translators - interpreters for meetings, visits, courses, events and congresses. Native Italian translators and interpreters, fully bilingual in both Italian and English. Widespread availability in Italy, UK, France, Spain and other European countries. Need a good translation into Italian? Send us an email with the originals to be translated and we'll send you a quote within the hour. An agile and simple process. Quote with a fixed price commitment, with no last-minute surprises. Timely delivery of your translation from or into Italian within the agreed deadline. If you want, we'd be happy to sign and send you a Confidentiality Agreement. Translation from English, Spanish, French (or another language) into Italian, always carried out by an expert native translator. Proofreading in Italian, always carried out by a 100% native Italian translator and expert on the subject. Italian is a bit everywhere in Europe, which makes it one of the most translated languages in EU. Italian, the closest of the Romance languages to Latin, is very similar to Spanish or French – same structure, few irregular verbs, similar roots, easily readable. All of this promotes Italy Spain and France's strong relations, boosting student exchange, business relations, etc. At Ibidem Group we translate thousands of words to Italian every year always using experienced native Italian translators to guarantee the very best quality. This is the only way to ensure that the text reads well in Italian, has style, is authentic and most importantly doesn't sound like a translation! If you're in need of an Italian translation, we're your best option! Are you pleased with our translations? Real opinions from our clients for Spanish to Italian translations in 2018. "I'm so grateful to the team at Ibidem Group. I needed an urgent Italian translation and despite being pressed for time, they worked diligently to produce a top quality result." 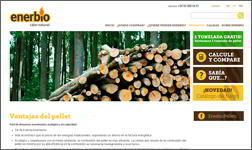 "A very good experience, they took care of everything and delivered the translated webpage properly formatted. Great value for money and excellent service." "A big thank you for your help! No other agencies were willing to take on the work given the urgency. You did us a massive favour. We will certainly be counting on you for any future work we may have"
Nearly every day we translate contracts, catalogues and webpages into Italian. Saro takes their baby products to Italy! Saro, the Spanish baby product brand, is preparing to expand their business to Italy and has put their trust in Ibidem Group to translate all their catalogues, promotional material, webpages etc. Transnet uses Ibidem Group for the Italian translation of their website. 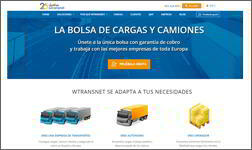 The well-known freight transport company decides to launch their website in Italian for their 20th anniversary putting the work in the hands of Ibidem Group. The translation of their website includes coding files , marketing and legal texts. The Home Electronics brand counts on Ibidem Group to complete the Italian translation of their new smart, connected products. For example the robot glass cleaner, Hobot, and the high-tech lawnmower, Smartbot. Enerbio needs an Italian translation for their expansion into the Italian market. With the excuse of their 10th anniversary, the Catalan brand that sells 100% ecological, pure wood pellets, enters into the Italian market. Ibidem Group completes the translation of their website into Italian. Get an immediate quote and start your translation project right away.